Cattle | Kane Manufacturing Company, Inc. 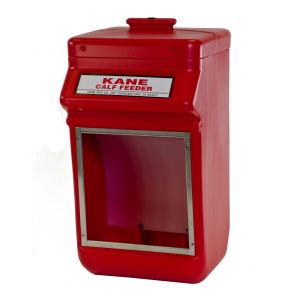 Whether you’re a family farmer or a larger-scale commercial operation, Kane’s automatic calf feeder is the most durable, easiest to clean feeder on the market. The Kane Calf Feeder is built to last and has 25 lb. feed capacity. Made of high density polyethylene and 304 stainless steel, you'll enjoy years of maintenance free use.